Hon’ble Dr. Ashok K Chitkara, Chancellor, Chitkara University; and Hon’ble Dr. Madhu Chitkara, Vice Chancellor, Chitkara University; launched books authored by our faculty, tilted, ‘Leadership… over the years, Society and Nations… (between the ears! )’ and ‘Metastatic Diseases: Novel Approaches in Diagnostic and Therapeutic Management’, during the Chitkara Excellence Awards function held on March 6-7, 2019, at Chitkara University, Punjab Campus. ‘Leadership… over the years, Society and Nations… (between the ears! )’ has been authored by Dr. Sandeep Arora, Director, Chitkara College of Pharmacy. Categorised under the ‘General Reading’ category, the book has detailed sections dealing with Historical, Social and Entrepreneurial aspects of Leadership, its traits – and how Leadership has evolved through ages of Kingdom & Imperial wars, Military and World War engagements to the present competitive cut-throat Business Leadership, and with comments and satires incorporated on the parallel social and political evolution. 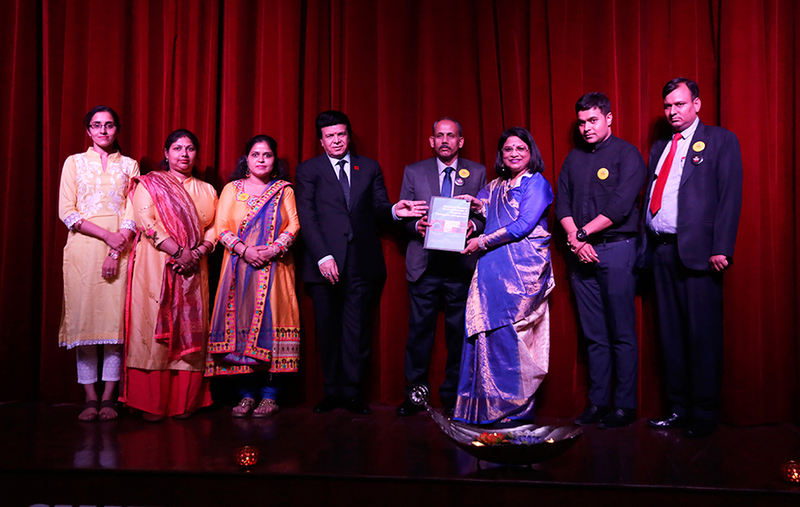 The second book launched at the Awards Ceremony is on the recent advancements in cancer therapy approaches, titled, ‘Metastatic Diseases: Novel Approaches in Diagnostic and Therapeutic Management’. The book has been conceived and edited by Dr. Sandeep Arora, Director, Chitkara College of Pharmacy; with co-editors Dr. Tapan Behl, Dr. Sukhbir Singh, Dr. Saurabh Gupta. Dr. Neelam Sharma, Dr. Nidhi Garg, Ms. Kiranjeet Kaur and Dr. Pooja Sharma have contributed to the book.